We are delighted to announce the launch of the new Robo4hire website, making it easier than ever to have a real robot turn your event into an unforgettable show. Our robots are already famous, with one of our stars appearing in the opening title credits of Channel 4’s Humans, also airing on AMC in the States and around the world. Hailed as Channel 4’s biggest drama of the past 20 years and Digital Spy’s no.1 TV show of 2015, Humans is set in a world where synthetic humanoids, or synths, are established as domestic and industrial workers. Humans is the latest in a long line of movies, books and TV shows that have fired our collective fascination with robots for decades. From Short Circuit and The Terminator in the 80s, to Ex Machina, Chappie and Westworld, generations of us have grown up captivated by the idea of machines behaving like humans. 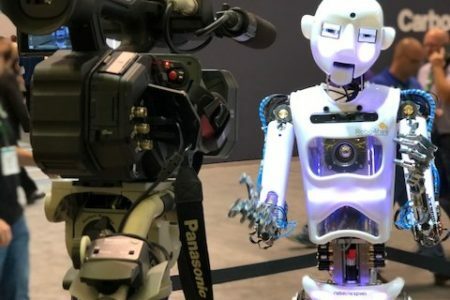 Now you can delight your audience, guests or delegates with a Robo4hire ‘celebrity’ robot, straight from the TV, who was created specifically to entertain. The Robo4hire fully managed robot hire service is a UK first. 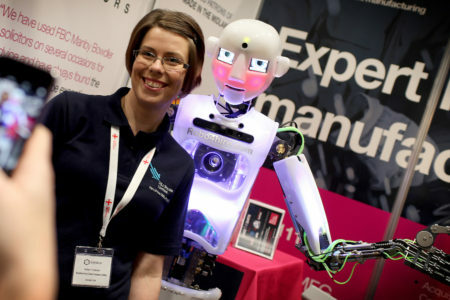 We specialise in bringing innovative robot technology out of the realms of fantasy and into your event. 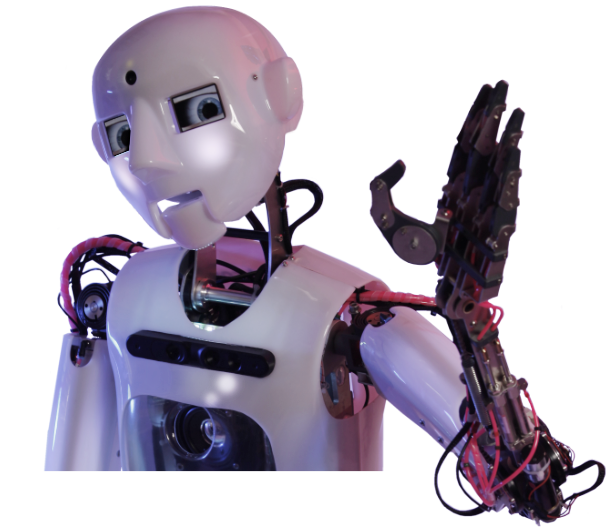 Our robots come with a specially trained human to cater to their needs so that you, like your guests, can enjoy the show. Our robots are real, not actors in robot suits. Powered by electricity and compressed air, they are the stars of any show. Obviously, we make sure all our robots abide by Asimov’s Laws of Robotics so there’s no danger of them taking over the world. Not yet, anyway. You can programme our robots to say anything you like. They also come with the pre-programmed ability to enact famous Hollywood movie moments. 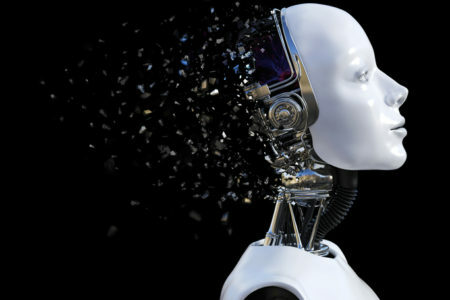 If you really want to amaze your guests, you can use telepresence and other technologies to make the robots talk and interact with them. When you hire a robot from us, the robot itself is only the beginning. We deliver the robot to your site, set it up and provide expert technical support for the duration of the hire. Your focus stays firmly on your event while we make sure our robot delivers the programme as planned. We have four robots for you to choose from, each with their own character and skills. Everyone, from our drivers to our talented technicians, is hand-picked for each event to ensure the best possible fit in terms of both expertise and personality. We’ve designed our new Robo4hire website to be accessible, responsive and simple to navigate. We hope you find everything you’re looking for quickly and easily, whether you want to learn more about how our robots can bring your event to life, their incredible tech, our hire packages or our company. If you’d prefer to deal with a good old-fashioned human, call 01883 621000.